Greetings of the most high, we come forth in this moment on wings of great clarity, in the aftermath of the full super moon in Taurus and 11 days after the extremely powerful ascension activation date of the 11:11 gateway. So much has shifted beloveds, so much has transformed and is transforming on a deep soulullar level for many of you whom we speak to tonight. So many of you gathered in ascension groups during the 11:11 gateway. acting as the ushers in, of the great light dispensation that was activated on that day. We bow to you dearest earthly angelic ones. Your wisdom, tenacity, and presence knows no bounds, and your impeccable alignment with your higher self is that which has activated and empowered this brand-new timeline which is deeply connected to the alignment with the year 2017 which numerologically correlates to the number One, and pertains to profound new beginnings for many of you. The last nine years have witnessed many on the frontline of this current planetary ascension immersed in periods of solitariness. This has been necessary, as being the front line ascension pioneers, there has been much wounding and soul damage that has needed to be healed in your personal energy fields……...Please know that these periods of aloneness have been a powerful blessing, and have given you the space to clean out, on a very deep level, the old false dark programs that have been enforced upon you by your deeply spiritually misaligned societies. Beloveds all this is about to shift very significantly for those of you whom we speak to tonight and we are overjoyed to share this. In this nine year period that we speak of, we observe that many of you front line ascension pioneers have finally united with your soul groups and tribes, whom spirit has decreed you join with, in order to intermingle your frequencies and intentions in order to usher in the new golden age. This is such a wondrous message that we bring forth beloveds, as it has been so challenging for many of you to bring in the level of transformation that is required for you on an individual level to unite with your twin flame on all planes of consciousness, whilst you have been aligning with the vibration of the lone wolf. So dear ones, please keep coming together in these powerful awakened planetary master groups, where you will be seen, held and acknowledged as the divine avatar being that you have always been. .
Dear ones it is highly essential at this conjecture that we discuss the important subject matter of false twins who are also known as near twins and catalyst twins, (please know this is a vast topic which we can only hope to cover certain aspects of, during our time together). This time period that we are currently in is seeing the completion enmass of many many in the twin flame community who have been involved in connections with their false twins, we would like to inform you that this specific current energetic gateway can no longer support the illusion anymore that these near twins are your genuine twin flames….... Please know that that which we wish to share with you is destined to bring great clarity to many of you, enabling you to finally and completely release these soulmates in order to be available to allow your genuine bonafide twin flame to enter your life. Beloveds, within a soul group configuration, there exists 144 individual souls who are comprised of 72 twin flame pairs……...you and your identical vibrational match make up one of those 72 pairs. At the right side of your beloved twin there stands a soul who is almost vibrationally identical to your twin flame, sharing many of the same indistinguishable characteristics and gifts as your genuine twin, indeed dear ones, you have travelled as beloveds in many many past lifetimes together, and are deeply familiar and resonant to each other on a soul level…..
A very accurate way to describe this phenomenon for you is that this soul is in fact your near twin….. Please understand that many many on the twin flame path encounter this soul mate at some stage in your souls journey on earth, one common aspects of this soul connection is that these near twins are able to tap into the vibrational resonance of your true twin and often times siphon of the energy of the bonafide twin keeping you very much hooked into the illusion that they are your genuine counterparts. The signs and synchronicities surrounding your connection with your near twin can be just as prolific as with your genuine twin, but a sure sign that they are your false twin is that the connection is riddled with suffering……..a very deep soul suffering. Often times in these connections you will experience more rejection and abandonment and in many cases psychological and emotional abuse than you truly can bare,and this in itself is a sure sign that these beings are not your genuine bonafide twin flames…..your genuine twin would never seek to cause you the level of suffering that exists between false twins…. It is important at this conjecture to remind you that one of the main reasons false twins meet up in each lifetime, is to act as catalysts in order to catapult you onto your spiritual awakening path, and for this, these connections are extraordinarily adept. One of the main reasons for this is to prepares the initiate on many levels, to unite with their true twin when divine timing decrees this to take place…….. Your genuine twin flame would never seek to cause you the level of suffering that a false twin connection evokes, and indeed the quality of the connection between you and your genuine twin will be such that from the very first instance of recognition, there will be a silence and safety between you that neither of you will have ever experienced before. On a positive note, in this gateway, for those of you who finally clear these false twins from your energy field, there will be a very swift alignment with your genuine twin flame who is standing in the wings patiently awaiting your false twin to exit the stage, as please know your true twin cannot enter until the energy of the false twin has been fully cleared. Beloveds as ever these are deeply complex matters of the soul that we speak about and we urge you to use your own discernment to align with what resonates as the deepest truth for you. You are the living awakened master who has come forth to plant the seed of the fifth dimension into this 3D reality, only you can truly know if the one who stands before you is your genuine twin or not. Assistance and support is available for you, and if this resonates for you, you are invited to come forward for a one to one session with our beloved channel, she willbe able to assist you personally to clarify if the one who stands before you is indeed your false twin or not, and you will receive extremely powerful soul support to cut all the cords with this false twin if this is indeed the case. 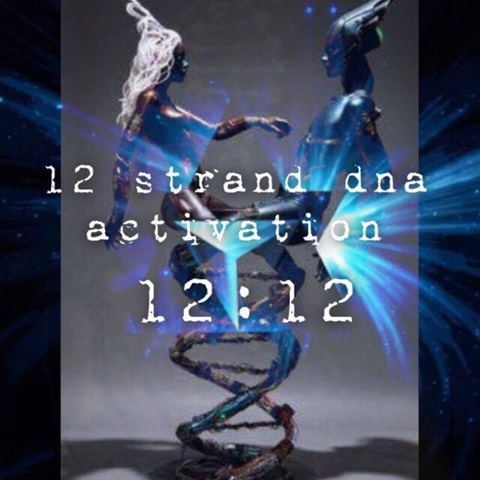 We would like to take this opportunity to inform you that our beloved channel will be hosting her next webinar transmission on the very powerful 12:12 activation gateway. In this transmission we are being called to come together as an awakened master circle, to activate the 12 strand DNA helix into our personal energy fields and into the third dimensional earth matrix field. This group that we have been referring to throughout this written transmission has already done huge work in clearing collectively and personally many of the dark programs that have kept humanity entrenched in ego identification, and this has cleared the path for this next activation. Beloveds this is essential for Gaia's evolution, as the 12 strand DNA helix pattern pertains to the living truth of the full actualisation of Mother Father Gods holy children. Once activated personally and collectively, the human DNA will come into alignment with the ascension codes that activate full multidimensional awareness, time travel, levitation. full immersion in God consciousness, Siddhi powers, access to the Akashic records and much much more. You are invited to join this master circle to activate these codes fully within your own being and serve humanity on a very deep level as these codes are switched back on in the collective consciousness field. During this 12:12 transmission we are also being guided to work again with the consciousness of the masculine polarity twin flame counterparts, to activate in their frontal cortex the memory codes of full recognition that the one who stands before them is in fact their eternal beloved twin flame, Within the Twin flame community there are still many many divine masculine counterparts who have not aligned with this recognition, and please know beloveds this is essential for the current 5d Ascension trajectory, for it is only when each twin comes into recognition of its divine counterpart that the kundalini awakening and a full ascension of the initiate's consciousness can take place. 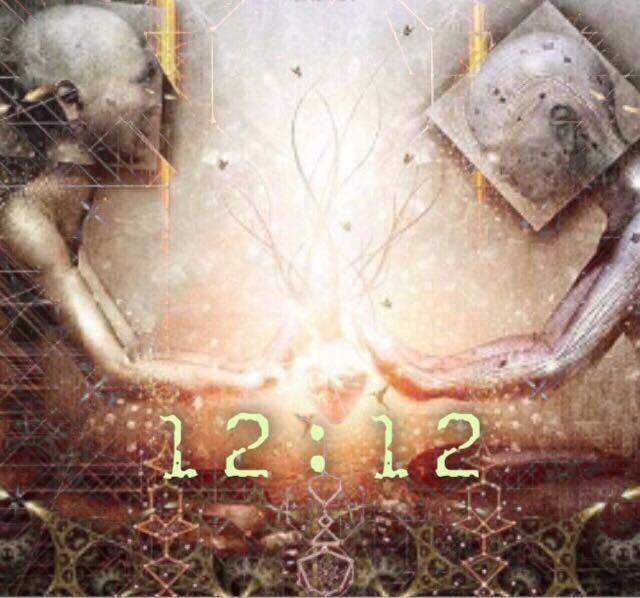 So we urge you, if you are in contact with your twin but they are unable to identify you as their eternal divine counterpart, please come forward to take part in this deeply important 12:12 activation transmission……. Dear ones as we have discussed many times, the masculine polarity counterparts have issued forth a call out to the collective that they need support to activate their full awakening which can only come into alignment when they recognize that the one who stands before them is in fact their beloved twin flame. We have covered much in these sacred writings, please note there is high calibre soul support and guidance available for you on this majestic and somewhat challenging twin flame path. Please reach out to our beloved channel for one-to-one support if you feel this would be beneficial, and please join our master circle on the 12:12 gateway whereby you will receive an impeccable level of deep soul support in ushering in the full glory of your twin flame union on all planes of consciousness. These groups are bearing witness to truly mind blowing miraculous reunions and recognitions in genuine twin flame partnerships, as the group consciousness creates a potent fourth dimensional manifestation field that very very swiftly initiates lasting transformation and alignment in the individual members energetic field. Please remember you are loved, you are held, and you are seen…..
As we have said before, the time for the Lonewolf is no more…..
Greetings of the most high, we observe that we have caused quite a stir in the twin flame community as a result of our last sacred written transmission, our beloved channel has received many many requests from you all for 1 to 1 sessions, in order to assist you to bring clarification with regards to the very important subject matter of false twins also knows as catalyst twins. It gives us peice of mind to witness this, as was stated in our last article, now indeed is the time for this illusionary bubble to finally be burst with regards to the issue of whether the one who stands before you is a near/catalyst twin, or is indeed your genuine bona fide counterpart. We understand how deeply challenging this relationship has been for many of you, indeed our beloved channel was involved in a false twin connection for 10 years of her life, and she more than anyone, understands deeply and intricately how powerful this connection is, and how challenging it is, to break free of the cords of unhealthy attachment that very often arise from this type of soul connection. Indeed this is a most accurate way to articulate and ascertain whether the one who stands before you is in fact a genuine twin flame or a catalyst twin, as in almost 100% of cases with false twins there is an extremely powerful attachment to this person, and often times an oceanic desperation to be reunited with them, accompanied by a belief that your very life is unsustainable or impossible to live unless you are united on the physical plane with this person. This is in vast contrast to the energetics that exist between genuine twins, whereby the very core foundation of this soul connection is freedom and non-attachment. Within these connections there is such a powerful alignment with unconditional love, which truly seeks nothing from the other, all that is desired is for the other is to be happy, content at peace and deeply aligned with their divinity, regardless of whether they are physically by your side or not. There is a profound feeling of spaciousness and trust with regards to the genuine twin flame and indeed this is a sure sign of the bonafide nature of this connection. Beloveds if these words resonate for you, if you feel incomplete without this soulmate then it is very very likely that they are a false or catalyst twin, for in the genuine twin flame connection and the vibrational alignment with the hieros gamos -the inner alchemical marriage of the divine masculine and feminine energy within you, this is so dominating and all pervading, that what you are left with is a wholeness that the great enlightened ones know as their true nature. If these words resonate with you then we urge you beloveds to call upon Archangel Michael and call upon the violet flame to assist you to cut all unhealthy cords between you and this person, that are keeping you hooked and entrapped in this attachment. Please know that it is impossible to cut cords between genuine twin flames, truly impossible, as those that God has joined together no person can put asunder. So do not fear for one moment that you are severing the bond with your genuine twin flame as according to the laws of physics this is impossible. In other news beloveds, we are so delighted that many of you are expanding at a profound rate at the moment, and many many of you are now very much on track with your own personal Ascension trajectory. This gives us great great joy to share with you, as we from the higher dimensions stand back in awe observing you, our beloved earthbound brothers and sisters, awakening now in a profoundly accelerated manner. The current energetics as we are leading up to the next great gateway date of the 1212, are again calling you to gather in ascension groups, in planetary master circles. This is a crucial part of the next stage of your own personal evolution and gaia's evolution. As as you gather in these planetary master circles please know that you are deeply assisting the collective consciousness to align with the highest Ascension codes that are being dispensed from galactic central at this time, indeed the 12:12 gateway and up until the winter solstice of 2017 Gaia is receiving a further extreme light dispensation in the form of photonic light particles also known as God particles which are being released from the great photon belt. The procession of the equinox and the inevitability of the turn of the wheel that is ushering in the great golden age is inextricably connected to these light dispensations that we speak about, and please know that when you gather on your particular grid points on these auspicious galactic dates, this deeply supports the ushering in of the light dispensation ensuring they land safely and are dispersed proficiently via the sacred sites on your planet, and to each and every one of you on your grid points. Beloveds this activated light dispensation will witness again a new wave of bonafide twin flame reunions that are occurring now for many first wave Ascension pioneers. A fundamental part of this forthcoming light dispensation has been decreed to specifically work with the consciousness of the masculine polarity counterparts. Many of the masculine polarity counterparts have found themselves deeply entrenched and entrapped on the perpetual wheels of Samsara also known as identification with ones ego cosciousness, therefore, a request has been sent forth from Mother Father God, stating clearly that this fundamental issue needs to be addressed. Therefore on the 12:12 webinar transmission that our beloved channel is facilitating, we will be working as an enlightened master circle to initiate the activation of the sacred codes of divine recognition in the male polarity counterparts, that they may receive the assistance they require to remove the sticky sleep from their third eye, that it may opened fully, and they may finally once and for all recognise that the one who stands before them is in fact their eternal divine counterpart, their God ordained twin flame. 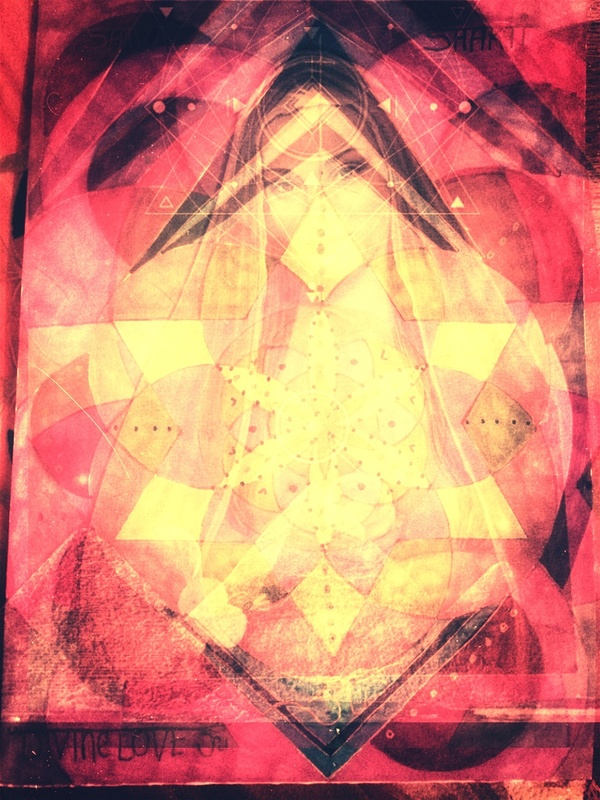 If you feel that your beloved counterpart falls into this group, we urge you to come forward to be part of this powerful master circle on the 12:12, Spirit has decreed that for the optimum transformation in the collective twin flame timeline, at least 144 Souls must gather on this day to activate this soul ordained recognition. Please know that your divine presence is required on the call, and please see below for full details of this event and how to take part. This is such a crucial message for the twin flame community beloveds and we urge you to share this sacred written transmission within your network, as it is imperative that these words reach as many illumined twin flames as possible. Our beloved channel is just one person and she can only bring through these written transmissions, please know it is up to all of you to share these divine messages in order to assist the collective twin flame recognition and reunion timeline trajectory. As ever we bow to you most illuminated star seed awakened ones. You are the ones we have all been waiting for and praying for, and this is the lifetime which will witness the great shift of the ages. In this lifetime you will witness the implementation of Nikola Tesla’s free energy technology and very very soon the political systems of this world will be led by leaders that are fully and completely aligned with Christ consciousness frequencies. You will also witness and experience that which is known as a universal income for all of God's holy precious and beloveds children, which is also known as NESARA. All of the preparations for the implementation of this righteous policy are being meticulously fine tuned by the highest council of light in preparation for its implementation in divine timing. We will keep reminding you that the time for the Lonewolf is no more, gather now in these master circles to implement the changes that is Gaias inevitable destiny, you are more loved than you will ever know, you are more cherished than you could possibly ever comprehend. The next webinar transmission will be taking place on the 12th december 2016 at 6 pm uk time, in this transmission we will be masterfully activating the 12 strand dna helix in the personal energy fields of all the participants and of course in their divine twin flames, and we will be activating the 12 strand dna helix in the 3rd dimensional consciousness as a whole, spirit has called this master circle to gather on this highlighted gateway date to act as the conduits for this potent light dispensation and alignment, For those of you who come forward to take part in 12:12 activation transmission to activate the 12 strand DNA helix please know you will be energizing and stimulating your pineal gland to release its highest multidimensional codes,and you will aligning with your full clairsentient gifts in a powerful and lasting way. you will be stimulating and nourishing the memory codes of eternal youth that are stored in your pituitary gland and you will vibrationally bealigning with the aspect of your consciousness that resides in the realm of miracle activator. You will be standing as the forerunner for this template which is awaiting all of humanity to align with, supporting and enabling you to fully break free of the limitations imposed upon you by the 3D realm, and move freely as a liberated being, unbound by the false programs that dominate the 3D consciousness. as ever gathering in an enlightened group setting to activate these remembrances is extremely potent, and working with these specific activation dates also exponentially increases the efficiency of these intentions. We are also being called to use this powerful time together to further assist our brothers and sisters who are on the front line at standing rock, we will be bringing through an extremely important prayer and meditation specifically calling in the higher selves of the police, and enforcement officers who are working and indeed many could argue selling their souls to the corrupt corporations… Your presence is deeply required to be on this call, This is a huge soul offering that we are initiating and the more high vibrational lightworkers that gather on this important date the more swift and proficient the changes will be…. I have been in all but one webinar, looking back from the first one to now and the progress I have made sense it is just tremendous. Major shifts with each webinar, lots of healing in transmuting. I have grown so much in such a short time, I feel so much more my true me. I have so much gratitude for you and what you do ♡♡♡ thank you. I wanted to take the time to thank you for leading the 11.11 transmission. As you posted the jive by mark o'donnell as my twinflames name is mark and I see his name often. It was a huge sign to me, I was meant to be on the call, he also texted me during the call another sign his higher self was with me. I spent the rest of the day with him and he mentioned having a headache, another sign things are changing. I am in contact now with my twin, but feel I still need to be patient with him. I have never talked to him about the twinflame connection. Thank you again for all the work and writings you provide. I feel like I am on the cusp of learning what my work is for humanity. I want to be of service, have many skills, and feel ready. I have been surrendering, over and over again and feel like I am birthing something. My life is one big mystery right now. I appreciate all that you are doing and feel lucky to have been directed to you. I also want to say, after listening to the rcording, you said I would hear you about my false twin "when I was ready". I was ready. During that session, I opened to my true twin. Your guidance about false twins being cleared and the timing of my work with you is UTTERLY Divinely timed and guided. I have been calling in ascended masters and high beings. I cut the cord yesterday at 33:33. I have seen several 33's today, including the following. And I saw 3:20 on my phone which comes down to "everything is in Divine and perfect order". What a gifted and Divinely-connected healer you are, Jen. Your magic is enveloping me. I will try not to overwhelm you with messages. Please understand Jen that I do feel a little bit wobbly.